Emma’s Cottage Vineyard is a dog friendly Winery in the Hunter Valley. 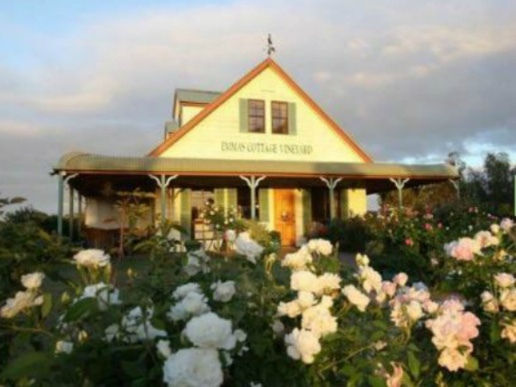 Emma’s Cottage Vineyard is located on Wilderness Road and is in the heart of the Hunter Valley wine country. The property boutique vineyard, peaceful gardens and cottages are on 6 hectares of pece and quiet. Kangaroos, Ducks, Cockatoos, Corellas, Parrots and many more birds welcome you to the natural countryside. You will find award winning hand crafted premium boutique wines, made by renowned local wine makers including David Hook and Damien Stevens. Seven varieties of grapes are hand-picked and include, Shiraz, Semillon, Cabernet Franc, Merlot, Pinot Noir, Verdelho and Chardonnay.